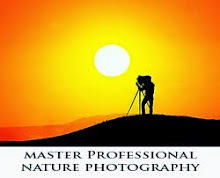 WANT TO SELL YOUR OUTDOOR AND NATURE PHOTOGRAPHY? Stock photography is in a never ending evolution while agencies and markets continue to evolve in an effort to meet the market needs. Photographers looking to make money from their images will still shoot many of the same subjects but must shoot them in a new way. Marketable stock photography is part of the photography business where less than stellar images have little chance of success in the markets. -Subjects that are timeless and have long lasting appeal will do best in the markets. These might be photos that provide a substantial amount of information such as a newsworthy image or a photo with historical value like Marilyn Monroe photos for example. We will continue to see those images published for many more years. You might be in the business of marketing your photography and no doubt are always on the lookout for great images. 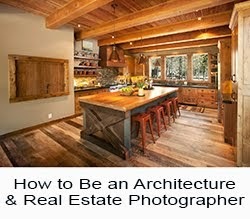 Have you wondered what makes a marketable image? It is one that is strong on concept! So why would this image below be marketable? 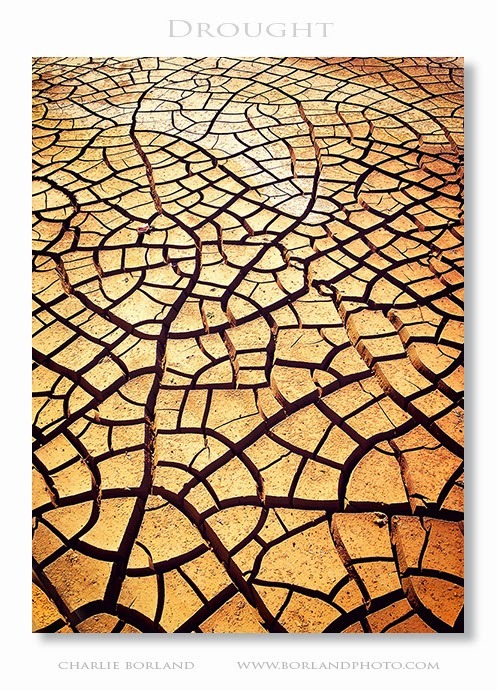 Because it exemplifies the concept of Drought, Lack of Water or Water Shortage, and more. I was pleasantly surprised to stumble on this and it is one of the best examples of good cracked mud I have come across. In fact it might be the best example of cracked mud I have captured and I say this due to the large cracks were and the depth they were in the mud. Better yet, you may be surprised where I found this. It’s not in the middle of a desert wash or a canyon in Utah, but instead a storm water collection ‘system’ in Arizona. I was out for a long walk when I happened to look inside this water collection basin. It is about the size of a football field and completely enclosed to prevent access. When the monsoon rains come the flowing water collects in here and slowly dissipates, and I guess that keeps the water from flooding streets and neighborhoods. I assume after years of collecting that water it has accumulated about 1 foot of silt or mud so when the rains stop, it dries out and created this. I had my iPhone and stuck my hand and phone through metal fence and began clicking away and this is one of many results. I captured various different perspectives that all used the lines flowing in various directions. I will definitely be sending this to my stock photo agent. So the lesson is to always have a camera with you no matter what. You may just discover something unique and marketable. 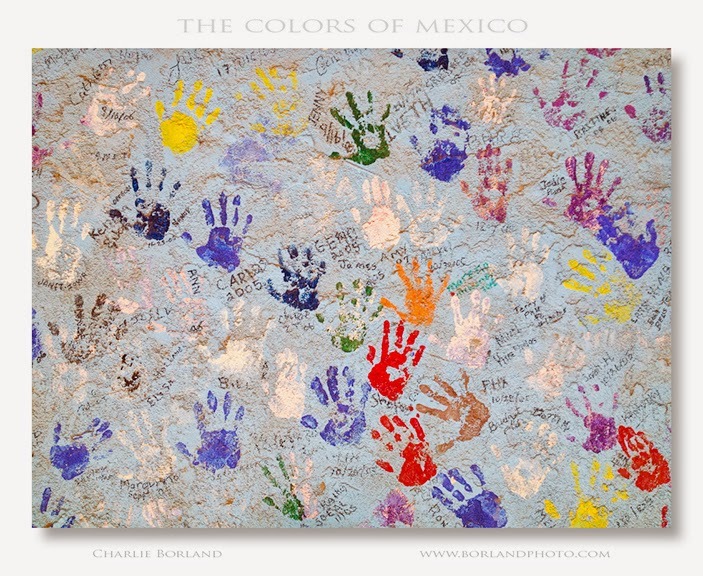 Every time I have visited Mexico I am amazed at all the colors that are pretty much everywhere. Saturday we walked into Los Algadones, MX for the Gringos Go Home celebration. I should say first, that is not what it sounds like. 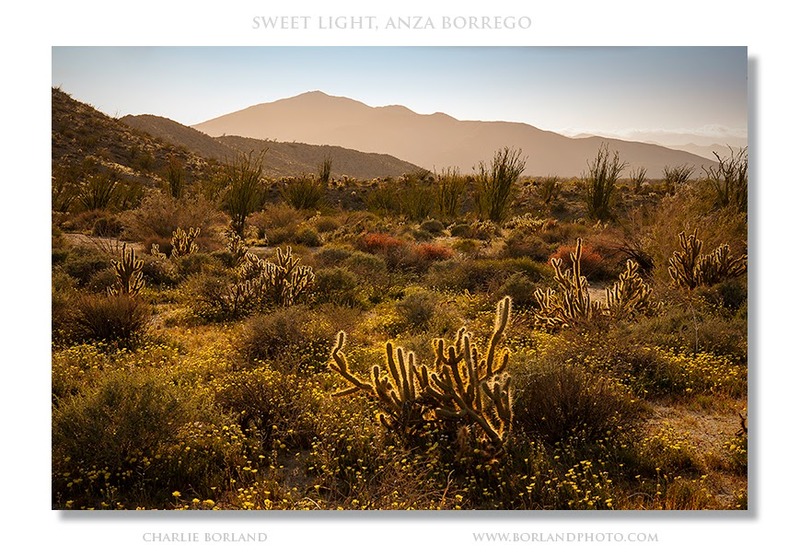 Yuma, AZ is the highest rated Snowbird destination during the North American winters and Los Algadones is right across the border from Winterhaven, CA, a mere 10 minutes from Yuma. So you can see the importance of Snowbirds to Los Algadones. In fact, they are so appreciative they put on the Gringos Go Home party on Saturday where there was festive music, free beer, and free food. It was great! Los Algadones, like other locations in Mexico, is quite colorful and perfect for me and my obsession with iPhone ‘Happy Snappin.’ And as I wandered the streets I was not disappointed. That led me to this wall tucked in between street vendors. I live for these types discoveries and the photos I create of them. The vendor next to this wall mentioned that the wall was 30 years old and handprints had been added over the years by school children. Knowing the story is great, but the wall says it all to me. The file is from my iPhone and I then used Adobe Photoshop Mix (the app) to add contrast (make the whites whiter and darks darker) and added some saturation and slight sharpening. 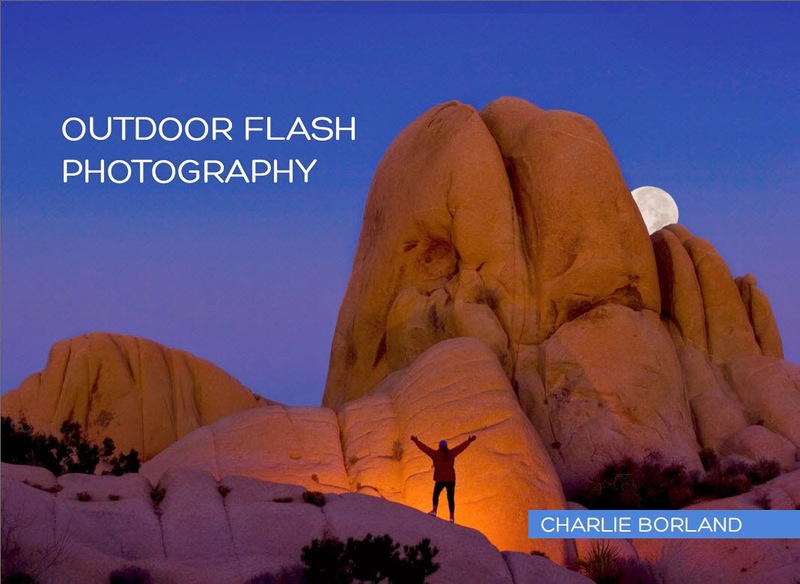 Join my mail list, get my ebook, or take an online photography class. Just click a banner on the right. It is amazing what Mother Nature provides for our cameras. 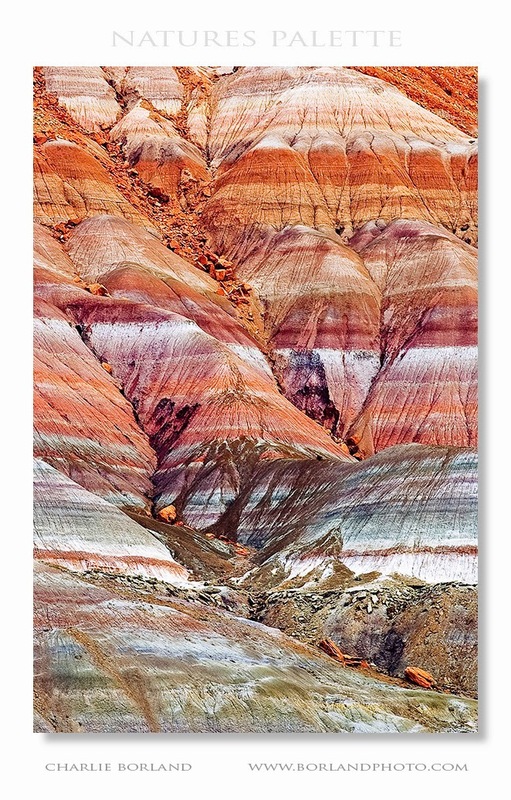 I looked at this scene and wondered what was happening on Earth to make all these colorful layers? The multitude of colors, i presume, means some specific mineral was 'spewing' all over for a while before another mineral came along. It's fascinating! Any geologists out there? When you think of creating great compositions, scenes like this dont make it hard. There is not only lines and diagonals adding to the composition, but the horizontal layers as well. There is contrast as well but it's not lighting. Instead, I call it color contrast: a full range of colors both dark and light bring contrast to the scene. If it was converted to B+W it would have tonal contrast. 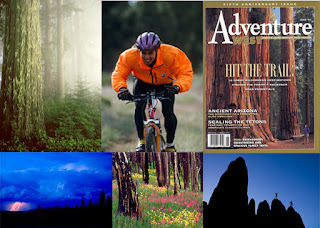 Checkout my online photography courses: How to Be a Professional Outdoor & Nature photographer at: www.greatphotographycourses.net Keep Reading: Full Post and Comments! It has been a few years (too many) since my last Grand Canyon rafting trip where I shot this image. It is Granite Rapid which is pretty 'hefty' as you can see here. I am standing on the bank of the river and shot this with a 200mm lens. Most of our rafts and kaykers stop and watch each boat go through one at a time, for photos and safety. There is a sweep boat 'eddied' out below the rapid to pick up anyone should a raft flip in the rapid, also for safety reasons. This is one of many large and powerful rapids in the Grand Canyon. When I do a trip like this I usually am limited with the amount of gear I can take so I pack my cameras and lenses in Pelican waterproof cases. 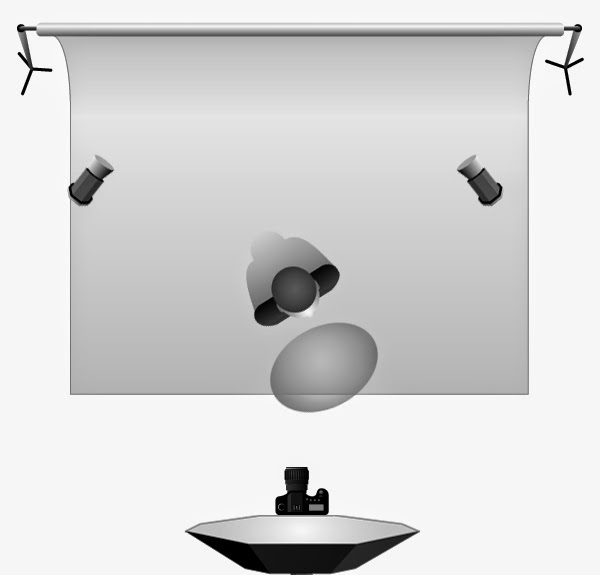 I take one tripod and one light stand and put those in a small duffel bag. I have another Pelican with flashes, storage devices, cleaning accessories, and more as well as batteries and lots of them. 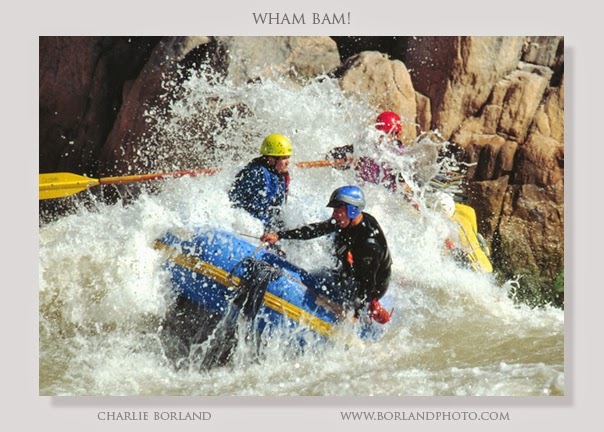 Rafting the Grand canyon is a life changing event! If you have done it you know what I mean and if you have not, add it to the bucket list. You will be glad you did! 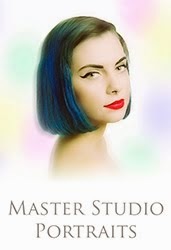 Join my mailist, grab my ebook here, and check out my online courses by clicking sidebar links. 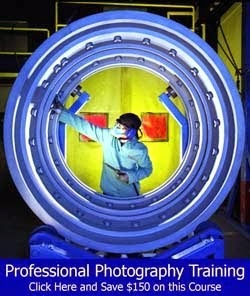 Without a doubt concept is the biggest ingredient in a top selling stock photo. 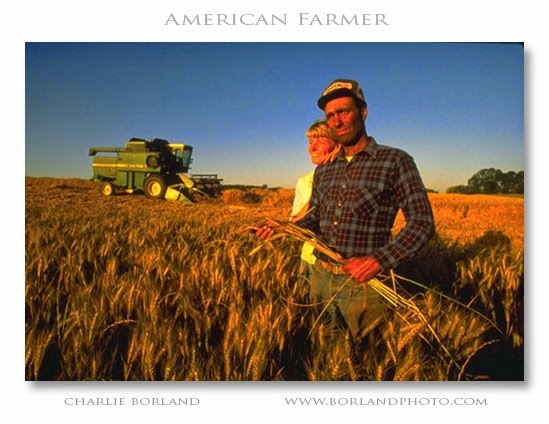 This image screams farming, agriculture, Heartland, and more, and has made good money. I was actually on assignment for the former America West airlines when I was shooting this guys cornfield. He drove up and asked what I was up to. We chatted and later became friends and I was invited to photograph anytime I wanted including wheat harvest where we set up this photo. It was shot before sunset so it had the golden light of the setting sun. Having them in the foreground with the combine in back added a great sense of depth. It has been on brochure covers, bank ads, and more. This video is one of 5 videos from my online course: Mastering Studio Portraiture and shows the starting setup for this image.